This program is designed to promote the establishment of drinking water systems that are financially viable and able to meet the challenges of the State’s rapid growth. 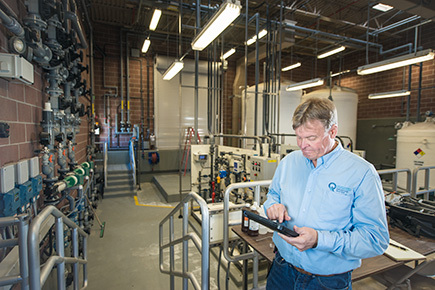 All new water systems and systems seeking financial assistance (398.63 KB) must be evaluated for technical, financial, and managerial capabilities. To allow a capacity review of an existing water system, a Capacity Assessment Works (398.63 KB) must be submitted, which can be submitted online. See Forms for more information on submitting online. This document further requires the submittal of financial information. Use one of the following: Financial Information (22.08 KB) or Financial Information. To allow a viability review of a proposed water system, a R309-800-5(4) Business Plan must be submitted to the Division for review. For all water systems applying for construction assistance through either the Federal SRF (State Revolving Fund) or the State SRF, these forms are already included in the financial assistance application. SRF Applications will not be evaluated for consideration by the Drinking Water Board until these pages are complete.